As a full-service metal shop with highly skilled welders, custom fabricating staging assemblies and platforms has become a specialty of ours. We have experience building custom metal benches, platforms, stands, brackets, and more for staging, events, and businesses. Whether you have a loose idea or complete blueprints, we'll help you bring your project to life. Over the last 80 years, we've helped thousands of clients, including service-based businesses, aerospace companies, entertainment venues, event production companies, and contractors, throughout Anaheim, Fullerton, Tustin, Orange, Brea, Westminster, Santa Ana, and surrounding Orange County cities get high-quality, long-lasting pieces at a very reasonable price. Call us today for a free consultation. We custom fabricate metal platforms for industrial & commercial businesses. 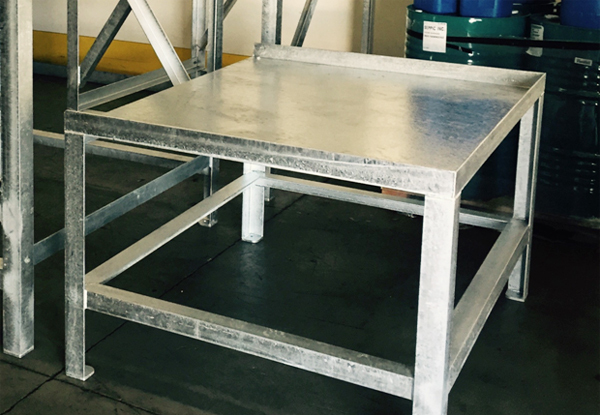 For a client in Fullerton, CA, we crafted this industrial platform out of angle iron and then hot-dip galvanized the structure for added durability. Galvanizing creates a barrier between the metal and the atmosphere and prevents corrosion. 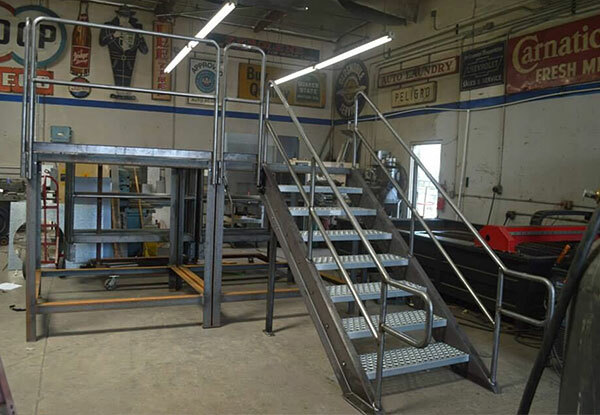 Bob’s Welding built this custom industrial platform for a Fullerton-based commercial client. Our expert welders can custom fabricate industrial staging and platforms to meet your specific sizing and utility needs. We custom fabricated this steel car wash drying station with a covered awning for a local car wash company. Our client wanted a drying station that would enable their employees to dry cars out of the direct sun. We worked with client and engineer to bring their vision to life. We used steel and heavy duty decking material to create this platform catwalk for a client in Fullerton, CA. 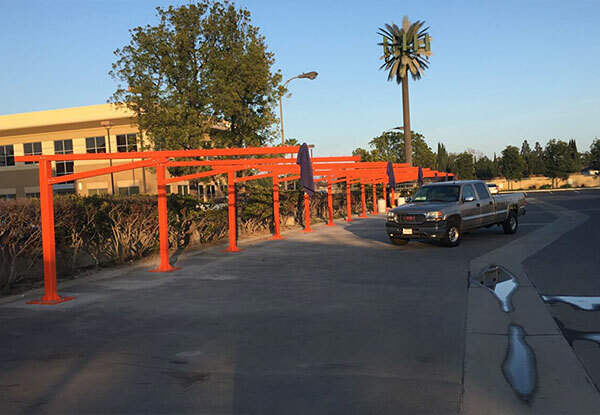 This custom welded catwalk was designed to provide a platform that was functional, safe, and enabled our client's employees to access their machines as needed. 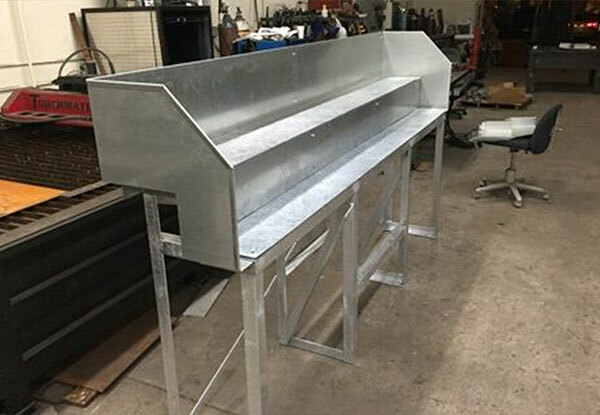 Bob's Welding cut, formed, welded, and fabricated this special bench for a local entertainment venue. We used the customer's prints and our expertise to bring their vision to life. 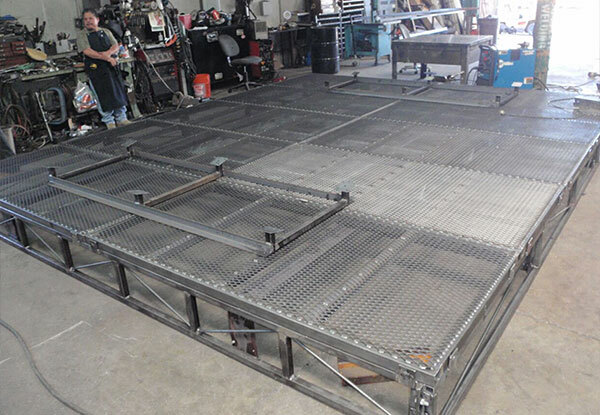 Bob's Welding custom fabricated this industrial platform for a local Orange County business. 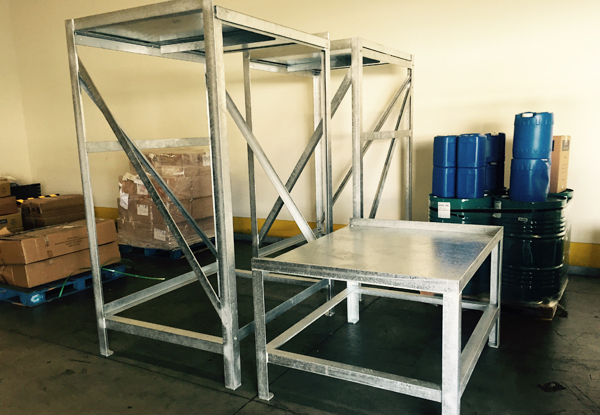 Our client needed a specialized platform designed and welded to fit their workspace. 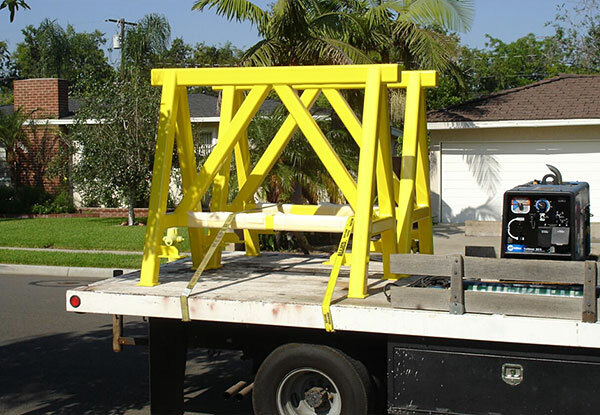 This custom machine platform was made for an aerospace company in Long Beach. Our client desired a platform that would wrap around existing machining, allowing their employees easier access to inspect parts during machining. 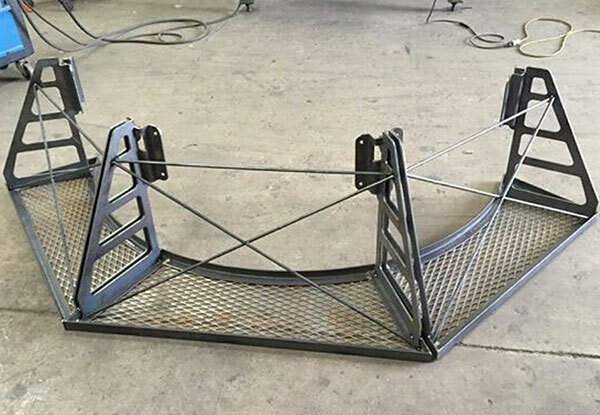 Using high quality steel material, our expert welders fabricated this custom helicopter shipping bracket based on our client's prints. Our client needed a bracket system that would stabilize a helicopter during transport. We created this portable staging system for a church in Yorba Linda, CA. This custom fabricated staging system allows our client to light the background and create a more vibrant and intimate stage presence. We work with our clients to bring their vision to life! 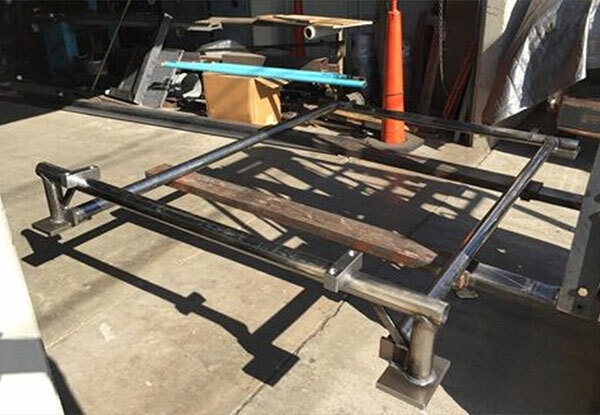 This custom welded entry way was created for the CrossFit Games in Orange County. Our expert welders used aluminum to fabricate this creative design. We worked with our client to bring their vision to life. Bob's Welding fabricated these steel safety horses for a Santa Ana client. We utilized our client's prints to create a product that met their specifications. 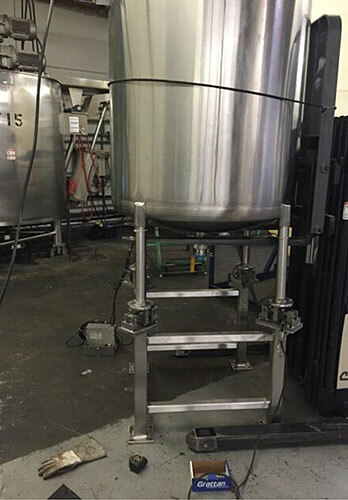 We created this stainless steel machine stand extension for an industrial client in Fullerton, CA. This custom fabricated stand extension adds height to the existing stand in order to raise the height of the machine. We utilized our client's existing design and pattern to create a stand that was functional and sturdy.